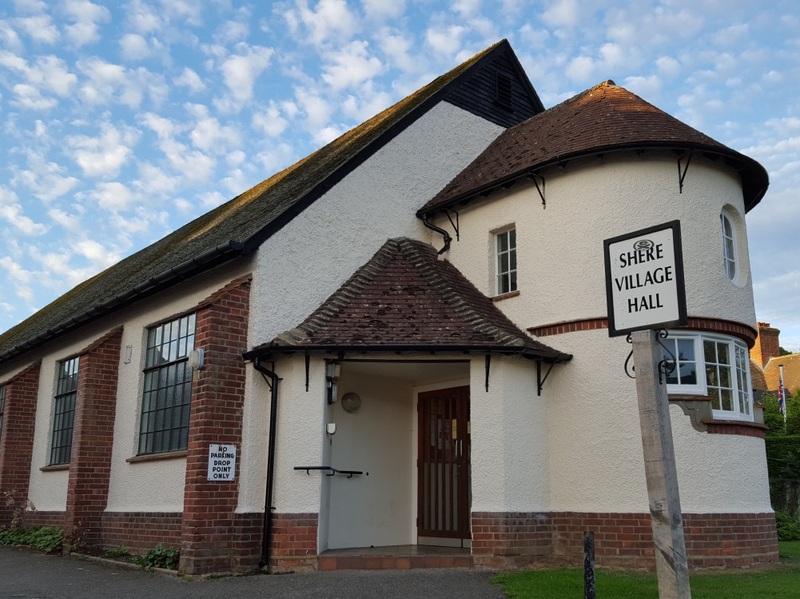 Set in the centre of the village, close to the free public car park and bus stop, Shere Village Hall is a perfect location for event. Local amenities include the Co-op, the children’s play area and the Recreation Ground. The Hall is comprehensively equipped, with both generous and modern, accessible, all age, toilet facilities and a well fitted out kitchen. It’s a popular venue for village activities including children’s parties, meetings of local societies, the village cinema, Pilates and indoor sporting activities. Enquiries welcome.